In addition to offering you a discount of up to 37% we’re also now running a bonus scrappage offer for windows and doors ordered now. All you need to do is upgrade your old windows and doors for our new A-rated ones and you could save up to an additional €500 on top of our existing discount of up to 37%. This is a limited time offer and must end soon. So don’t miss out! Simply complete your details on the right hand side and click ‘submit’. Then we’ll call you back to discuss the offer and the savings you can make. 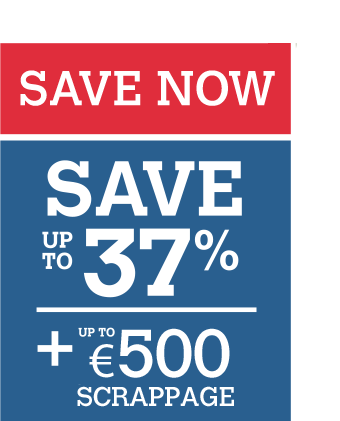 Yes, I want to find out more about how I can save up to 37% plus up to €500 scrappage.